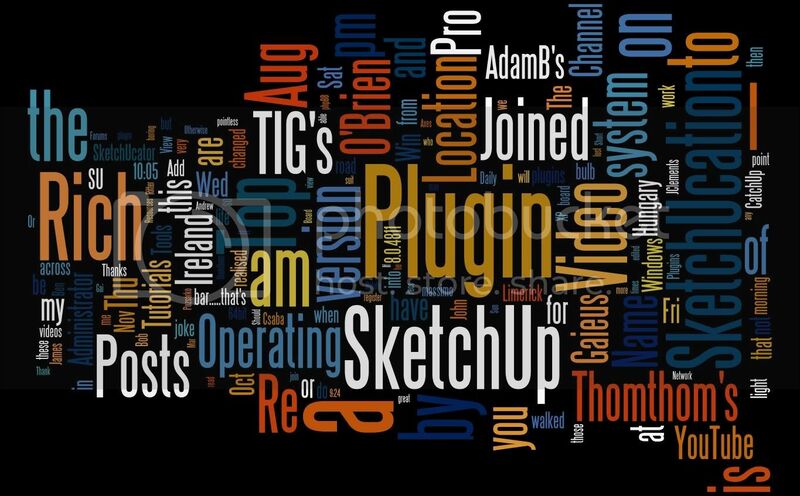 Below is a long list of Plugin Tutorial videos. To download the plugin just click the RED text and you'll be brought to that plugins page. Or subscribe to our YouTube Channel here where the video are at 720p. Thank you, Rich. This will be a great resource (which phrase is a great understatement ). I have been watching these videos for a while (subscribed to Rich1s channel) and indeed they are superb. Thanks for taking on such a boring and time consuming task. I do appreciate your hard work. It is very helpful. Excellent addition... thanks for posting. Rich, this one of the best features of plugins forum. I have already discovered plugins that I did not know existed or discovered some that I misunderstood their function. The labeling/commenting you used in the videos is exceptional. The movies are easy to follow and to the point. It must take you a God-awful-amount-of-time to do. Much appreciated. Do you have Pay-Pal account to accept donations for this effort? Last edited by JClements on Sun Aug 21, 2011 4:14 pm, edited 2 times in total. Anyway, he might have spilled his beer. These are AWESOME! Thanks, Rich! This is an invaluable contribution!! 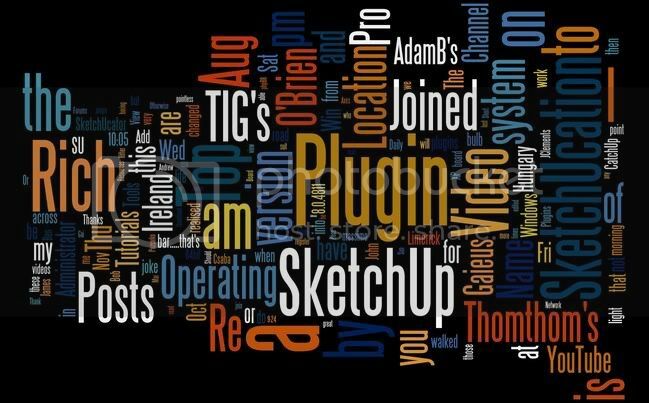 I have not been using some of those plugins because, out of laziness, I did not know exactly what they can offer. THANKS!! Excellent work Rich, thanks a lot! Thanks this has helped me greatly as well! keep up the great work! That's why subscribing to the channel and commenting there is probably the easiest means of staying up to date. I had completely missed this thread and your fantastic work!. I just have copied the all thread words (CTRL A ; CTRL V) first into a notepad in order to clean it a little (adds, irrelevant informations), then I have copied it into the automatic word cloud generator web service Wordle to make some tries. Once the style was ok for me, back again on the text, I have multiplied a little some words to give them a better focus. I am very late on this. Thank you for your time and efforts to create ALL this. Now I know what each plugin do. Thank you, Rich. Any chance for an alpha listing at the top? Slow pokes like myself forget how to do a browser page search. We've something else planned that should be a bit more friendly. 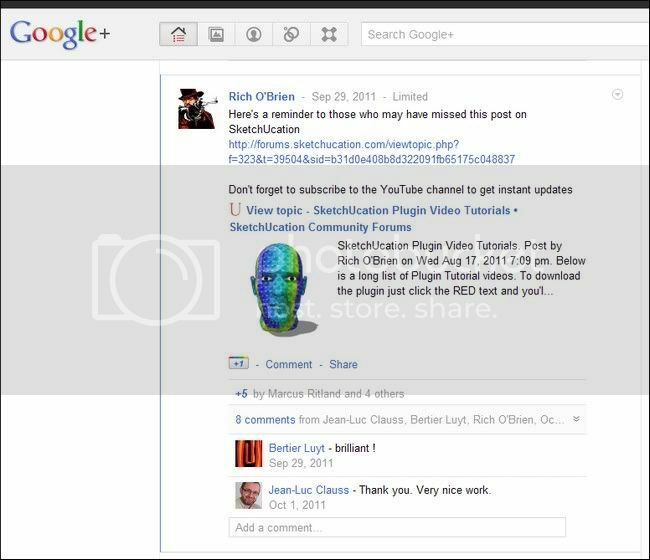 Thanks a lot Rich Sir for these tremendously helpful videos. I'm speechless about the feeling of my gratitude towards this awesome effort of yours.